Hello, Gorgeous! 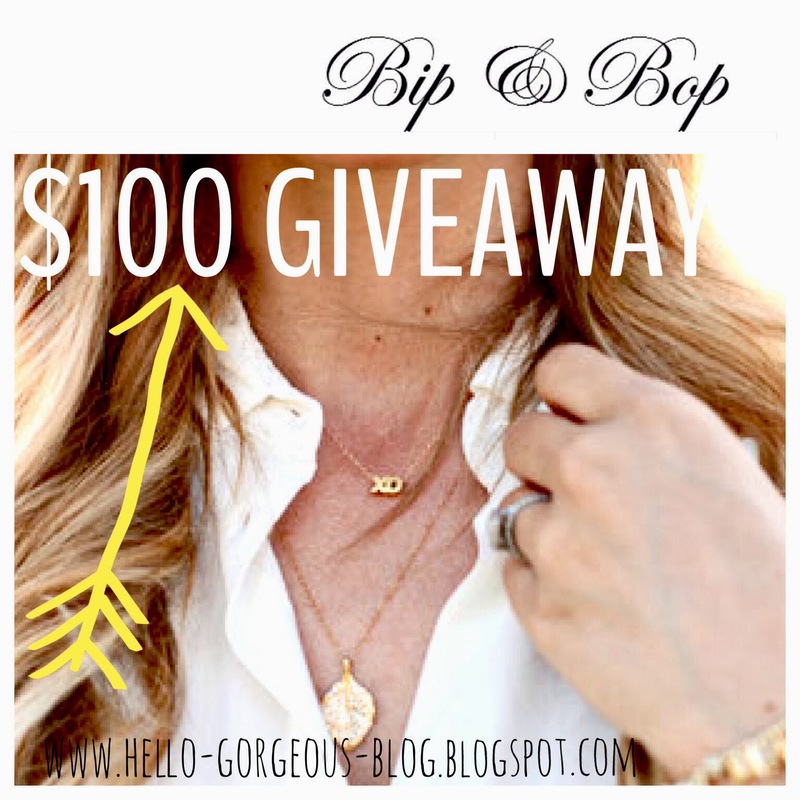 : Bip and Bop $100 Gift Card Giveaway!!-CLOSED. I'm a huge fan of bracelets and fell in love with the bubble and the leaf bangles!! Love so many pieces!! I would probably buy a bday gift for my sister and a necklace for myself. Love the gold leaf and personalized bangle. Very pretty pieces! I love your word of dainty pieces because they are just that. Necklaces are my fave! The monogrammed necklace with the skeleton key charm! love love Bip and Bop's website!! they have such beautiful stuff! Love these pieces! I like the wishbone necklace, lucky bunny necklace, and the monogram initial necklace. The agate slice pendant and something blue earrings. Love all these pieces :) good luck everyone! have to get the sterling silver handstamped long oval bracelet! Love Bip and Bop's pieces! I would love an initial necklace with an H! I LOVE so many pieces!!! 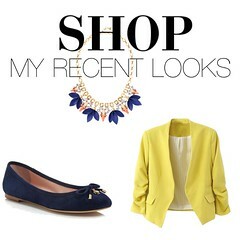 My favorite is the dainty bow necklace! I would love to have the infinity bracelet and the layered charm necklace. Super cute items...would be a fun way to begin the new year! I love the infinity bracelet and the initial necklaces. I love personalized pieces. And I'd get one of the agate slice necklaces too. I need a tassel bracelet! Love the Darling Bow necklace and matching bracelet! Love everything on the site, But I'm a bracelets gal so those tassel bracelets would be mine! The sterling silver infinity bracelet is so pretty!! I love the agate necklaces! I love Bip and Bop!! I'm currently drooling over the elephant bracelet, the leaf necklace, and the ampersand necklace. I love all the bracelets! I like the Itty Bitty Horse Necklace! I loved the layered initial charm necklace! this shop is so lovely! I've added them to my favorites a while back but i haven't purchased anything yet! i love the xo necklace and the asymmetrical heart necklace but their bracelets are so dainty and cute too! Thanks for introducing me to this shop! The giraffe necklace is adorable! I would buy as many bangles as I could! I'm all about the arm candy! :) Great giveaway, thanks! I'd get a monogrammed or initial necklace! I love all the delicate necklaces and the elephant bracelet. super cute. WOW! I fell absolutely in love with their stuff! so cute! I really love the custom handstamped charm necklace, but its nearly impossible to choose a favorite! I'd buy the XO earrings and initial bracelets! A dainty necklace (so opposite my style usually) or lots of bangles. I'm getting married in a few months I would love to buy matching necklaces for my bridesmaids. I would get a monogram necklace for sure and other cute little necklaces to layer with! Love how simple but elegant these pieces are! I love the monogram bracelet. Too cute! I'm all about the bracelets! The site has some really cute pieces. I love the Ibiza chalcedony pendant or any of the agate slice necklaces! i'm all about the delicate necklaces. she has mastered those! I love the agate sliced pendants and the gold leaf necklace. I would love an initial necklace and any of the gorgeous earrings! And the vermeil elephant necklace is also adorable. I love the initial ring and Carrie bracelet! Everything is so cute, it would be hard to decide! So much cute stuff on their site. I would go for the initial ring and/or the tiny giraffe pendant. Too cute! I LOVE the BLESSED necklace. Adorable! lovely! I would be torn between the initial necklace, the ampersand necklace, and the infinity bracelet! How's a girl to choose?!? Cool!!! Stoked that I found your site, I really could use some help in the style department. I like the sweethearts necklace! I would get a Sweetheart necklace and put my kids first initials on it. Does Christmas come twice this year? 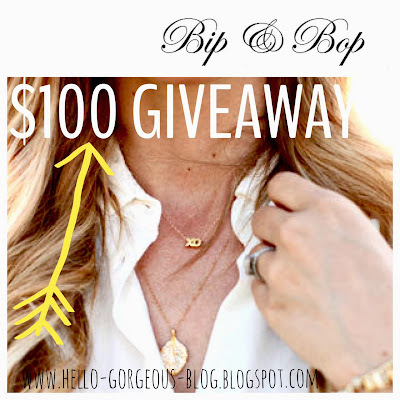 $100 for Bip and Bop. Wow. The Darling Bow Bracelet could not be more perfect if it tried. It wants to join my arm party in the worst way. Fingers crossed. I love the tiny animal necklaces-so cute! lucky elephant bracelet and necklace!! i can't pick! I want them all! Love the adjustable bangles and/or some layered necklaces! Thanks! I love the Sweetheart necklace and the Carrie necklace and bracelets. Love all the bangles and dainty anchor necklace! I absolutely love all of delicate and customizable necklaces! I've been looking for so long for cute delicate layering pieces. I absolutely LOVE the bangles and also the sweetheart necklace! I love the Agate slice necklaces!